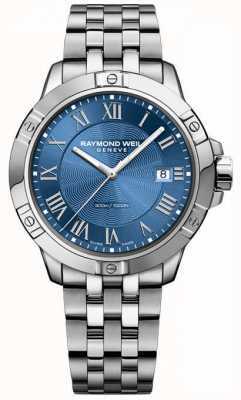 A watch that brings a wow-factor the second you lay eyes on it. 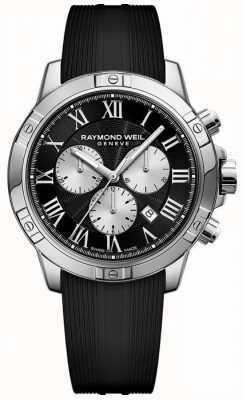 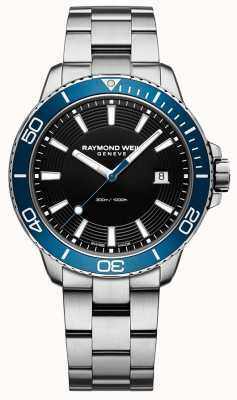 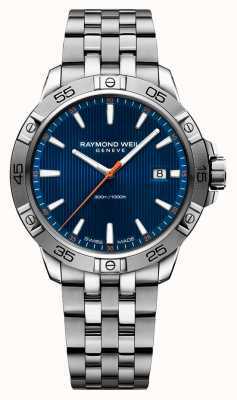 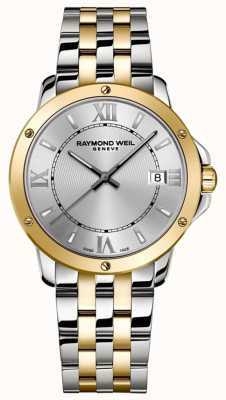 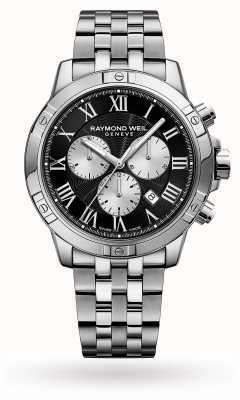 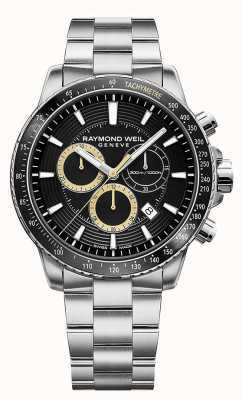 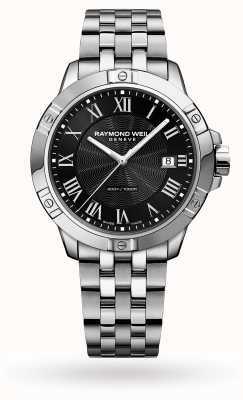 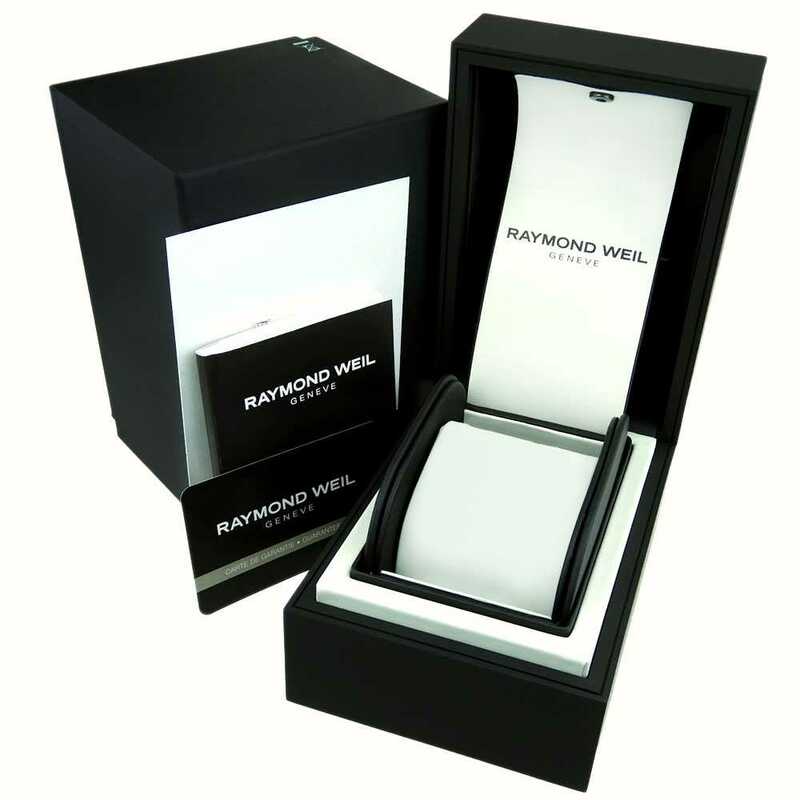 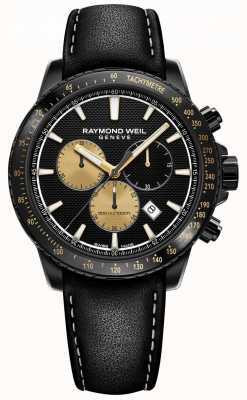 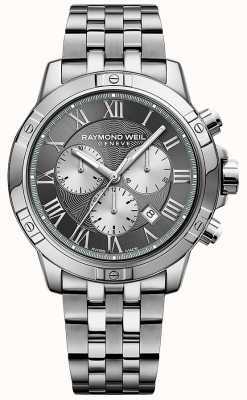 Raymond Weil not only guarantees precision and class with its reputation, but this particular Tango model is a sporty, sleek little number as well. 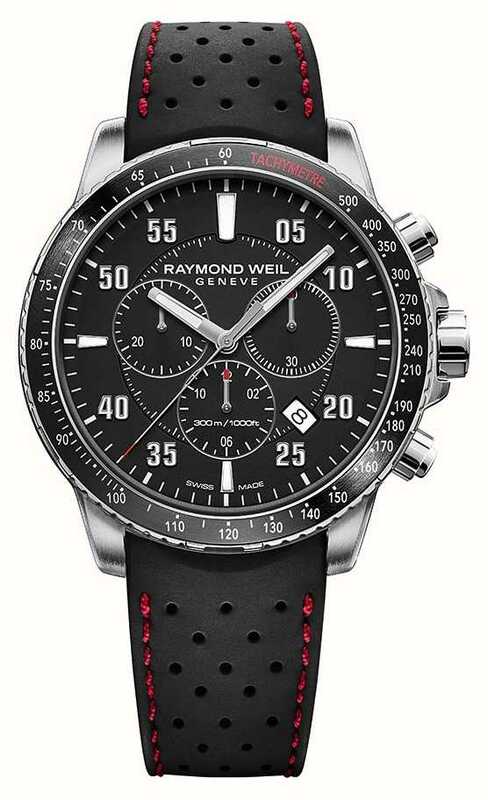 A stunning black dial with red accents and a perforated strap all combine beautifully, and the silhouette means the watch is even nicer on the wrist.